Hey dolls! 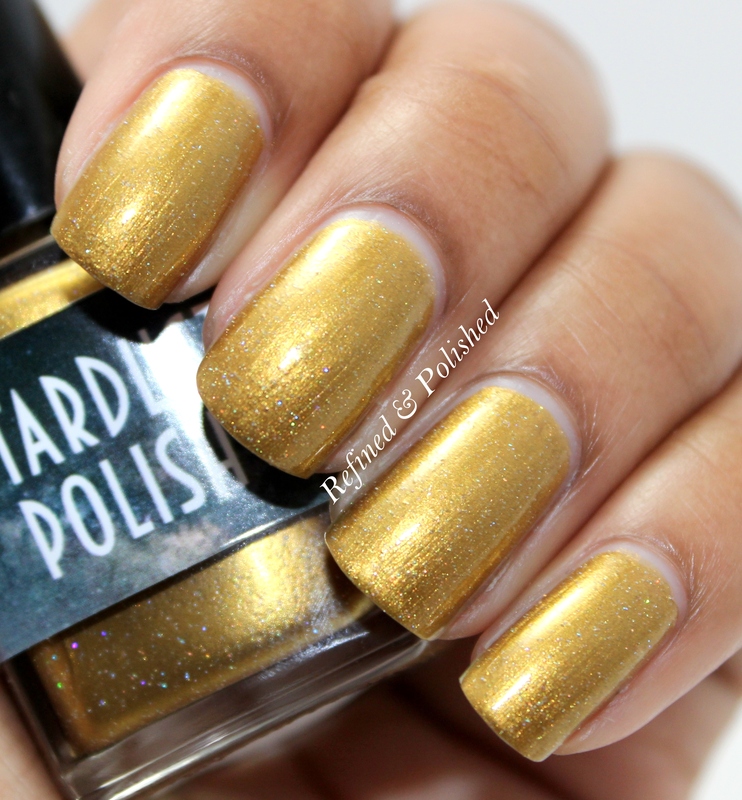 Stardust Polish recently released the Clue Collection based on the popular movie. This evening, I have two polishes from the collection to show you. 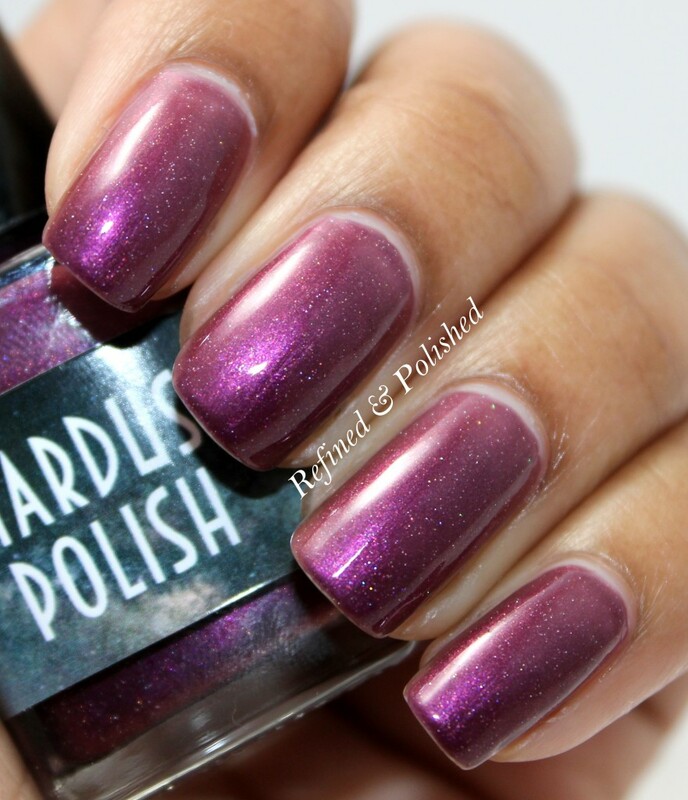 Stardust Polish Professor Plum is described as a dusty plum that sparkles in the light. The formula was on the sheer side, but not runny or problematic. It built up nicely and was opaque in three coats. 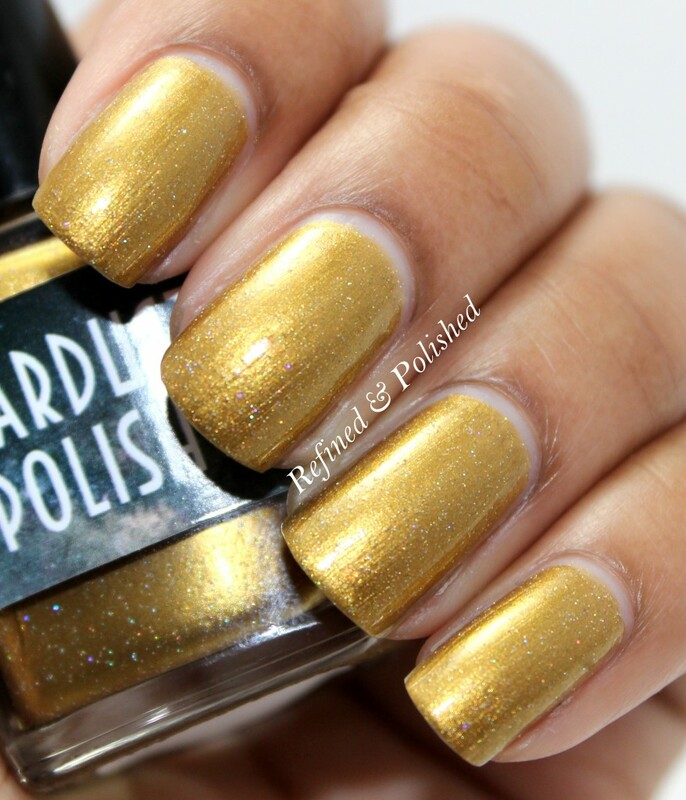 Stardust Polish Colonel Mustard is described as a deep metallic olive toned gold with super fine holo glitter to give it a bit of sparkle in the light. The formula was exactly the same as Professor Plum’s; sheer, but easy to use. Three coats were used for opacity. I like the subtle holo sparkle included in these polishes. It adds a little flair to them. 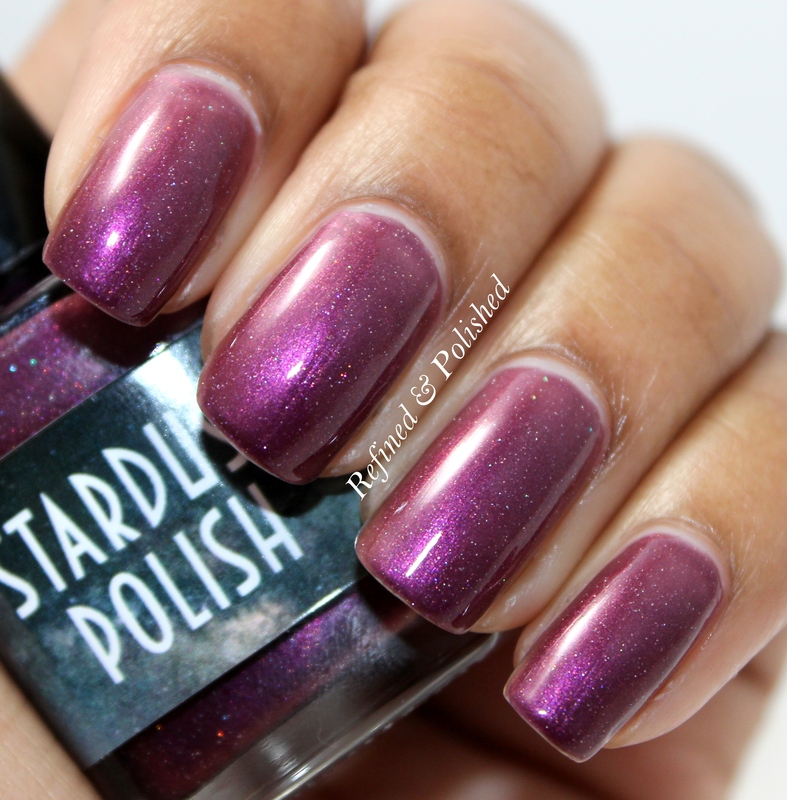 The Stardust Polish Clue collection is available here for $67 (free shipping) as a set or $9 individually. Be sure to keep up with Stardust on instagram and facebook for updates and sales information!